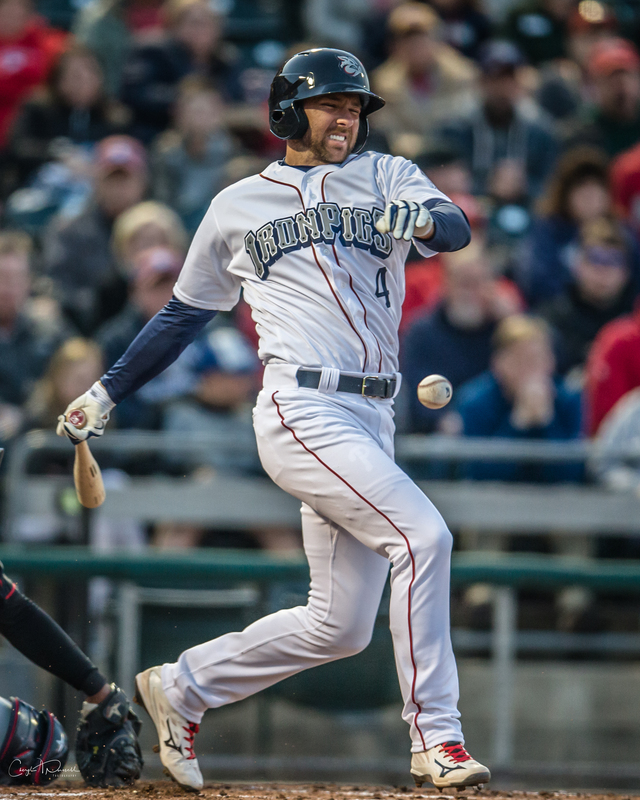 “Kram’s Korner” is an IronPigs baseball column published twice a week, on Wednesdays and Fridays, hopefully a couple hours prior to game time, during the 2019 baseball season. Columns may be late or missing in the case of away games, poor weather, or malaise. Feature articles, interviews, and ballpark news and notes will be published separately. Reading R-Phils news will also appear under its own header. Welcome to the second edition of “Kram’s Korner.” I hope to be consistent with these columns–it’s really all I ever wanted to do around here even back when Noise Nation was both “Noise” and “Nation.” But we change and we adapt and above all we have fun. In the first edition which was written on Wednesday but went up on Thursday because that’s how it works sometimes, I took a look at the Phillies and how I think Bryce Harper might be the “Straw That Stirs The Drink,” just as much as the original. Check it out if you want. For today, we’ll go backwards with some news and notes, and remember I’m going to try to stick to baseball around here (the demise of Pork Illustrated will be covered separately) while other topics get their own posts, as warranted. Creative lineups and defensive positioning will about, as we learned on Media Day. An example is Malquin Canelo scheduled in center field tonight. Canelo has played 97.7% of his games at shortstop in the minors as well as in foreign leagues as a professional. LHP Cole Irvin was the surprise starter last night (first announced by….Instagram?!?) as the Phillies asked that RHP Jerad Eickhoff be held out due to weather concerns. The thinking is that if Friday’s game in Philly gets postponed into a Saturday doubleheader, that Eickhoff could be the 26th man and make one of the starts without fouling up the Phillies rotation. It’s a good plan, but it cancels out one of the things I’ve been saying about the six-man rotation and its advantages: It allows for a double-header with two starters without throwing anyone into short rest or killing the bullpen. We serve at the pleasure of the Phillies. Also, if that scenario plays out, Eickhoff has a chance to keep that 25-man spot and have someone else sent down if he performs well. It’s been the common theme early on–indeed all the way back to the end of last season–that the starting rotation would be the calling card for this team. However, it wasn’t until the roster was finalized that we kinda see that we might have some nights where we just don’t hit. Last year we were buoyed by IL MVP Joey Meneses, but I’m not sure we have a Meneses on this team right now. Not that I knew last year at this time either, so we’ll watch to see if the big bats of Cozens and Walding can carry us, and if some newer players can find the AAA groove, like Damek Tomscha and Jan Hernandez. And the veterans will be motivated–whomever is hitting the best will get the call when and if the time comes, among infielders like Romine (above), Rodriguez, and Gosselin, or outfielders like Lane Adams and Shane Robinson. And with that, Friday’s game is postponed. We’ll play two tomorrow (Saturday) starting at 5:30PM. I imagine Enyel De Los Santos, tonight’s scheduled pitcher, will go tomorrow in one of the games. We’ll wait and see what they do about the second start–it probably has to do with what happens in Philadelphia tonight.